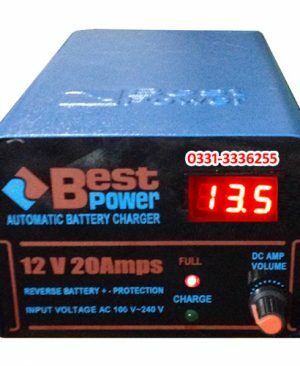 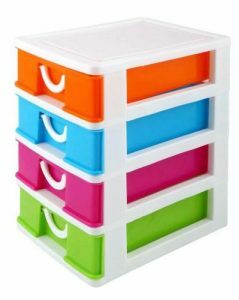 Online Shopping in Pakistan 4 Layers – Plastic Drawer With Top Flap – Large – Multicolor with Free Home Delivery and Payment On Delivery.4 Layers – Plastic Drawer With Top Flap – Large – Multicolor (Product Code: ) offer by DiscountMall at just ₨799/- instead of Rs 999/-, enjoy Fast Shipping with FREE HOME DELIVERY. 4 Layers – Plastic Drawer Multicolor This is multicolor beautiful mini storage cabinet & drawer set is very useful for Jewelry, Stationery, Accessories, Sewing accessories etc. 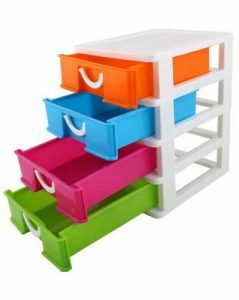 Find mini storage drawer price in Pakistan, set of 5 mini storage cabinets, 4 Layers – Plastic Drawer with Top Flap – Multicolor drawer.